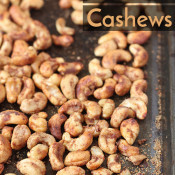 Want to satisfy your savoury snack cravings with something a little healthier than chips? 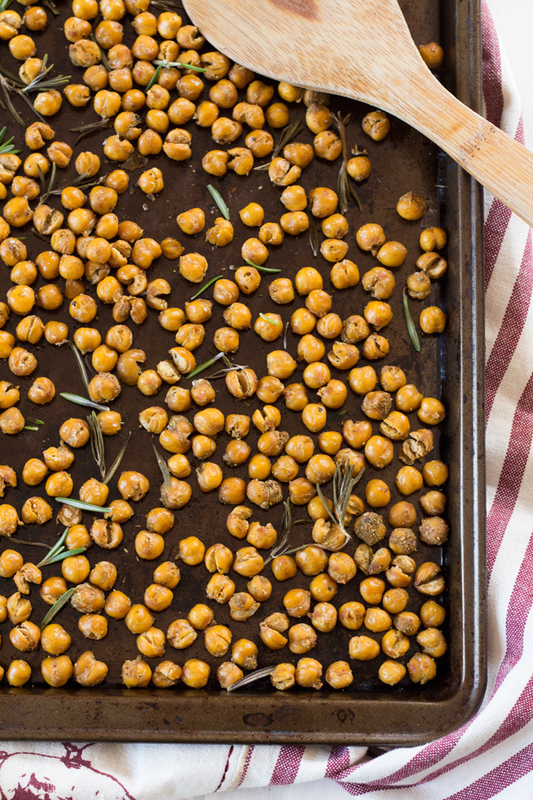 These crunchy rosemary garlic roasted chickpeas are just as flavourful and make the ultimate vegan protein-filled snack. I used to be the world’s pickiest eater. But put a chocolate bar or brownie in front of me and it would disappear in .0934 seconds. Obviously, I had a taste for the sweet stuff. Which is why so many of the recipes in the ExSloth archives are desserts and sweet snacks. But my tastebuds recently did a massive 180 on me and I’ve been craving all the savoury foods. On one hand, that’s great because I actually eat real meals now instead of living on baked goods alone. But I have very few homemade savoury snacks in my repertoire and my chip consumption is rising fast. No bueno. So this week I set out to come up with a healthier alternative to chips that was just as flavourful and crunchy but offered a bit more in the nutrition department. 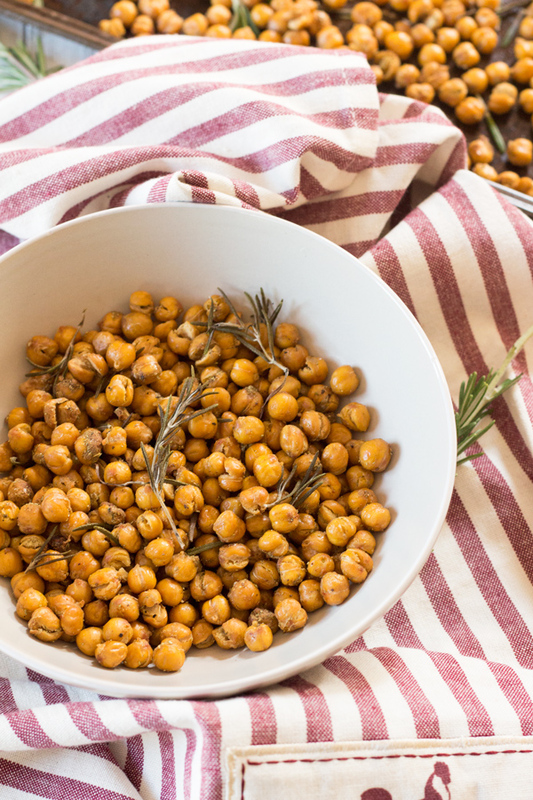 Roasted chickpeas came to mind immediately since they’re both crunchy and healthy. But I’m used to making sweet roasted chickpeas so I was at a loss flavour-wise. Then I made this plate of deliciousness earlier this week and remembered how much I love the rosemary/garlic combo. 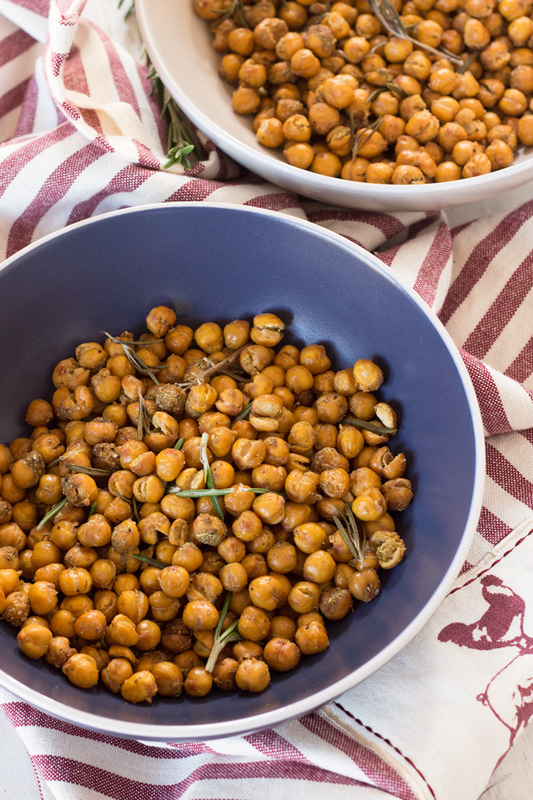 And the idea for these rosemary garlic roasted chickpeas was born. These rosemary garlic roasted chickpeas are super easy to make and only call for a handful of ingredients and about 30 minutes in the oven. Plus, they’re also crunchy AF, bursting with flavour and are perfect to munch on when those savoury snack cravings hit. Bonus points for all the plant-based protein power. 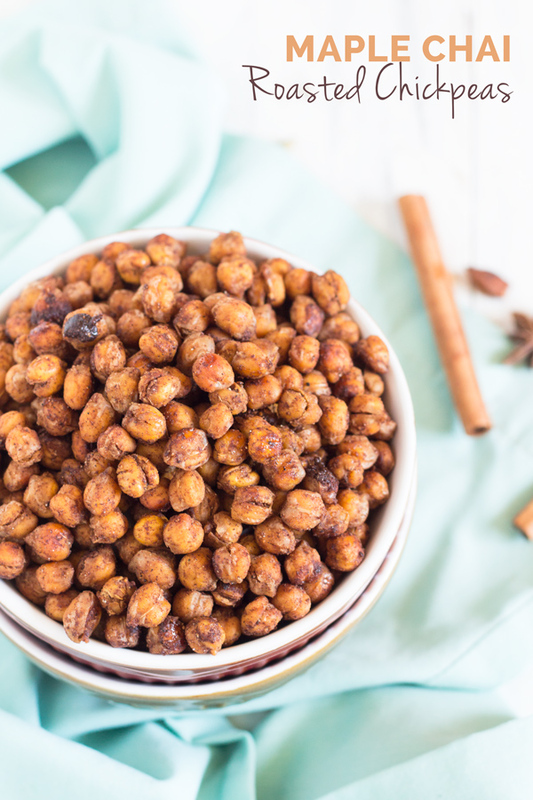 If you make these maple chai roasted chickpeas, I’d love to hear what you think. Leave a comment and rate the recipe or take a pic and tag it @ExSloth on Instagram! p.s. Let me know in the comments what your favourite healthy, savoury vegan snacks are cuz I need all the help I can get. Need to satisfy your savoury snack cravings with something a little healthier than chips? 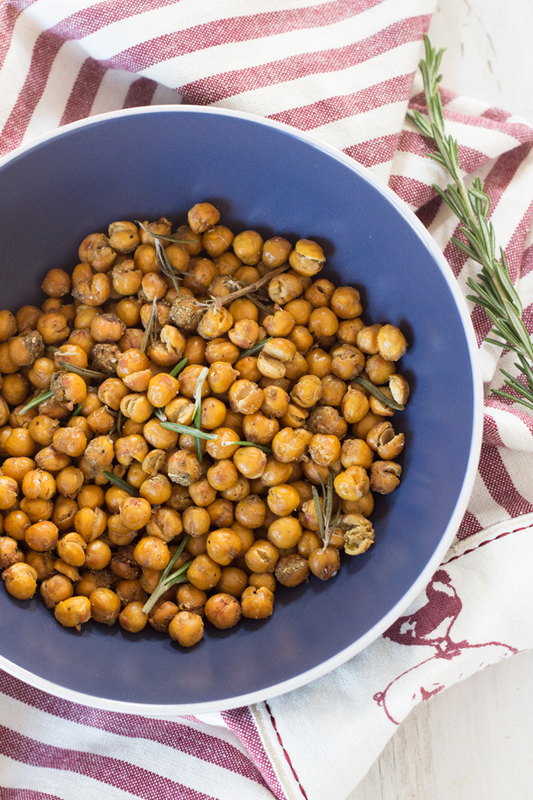 These crunchy rosemary garlic roasted chickpeas are just as flavourful and are a great vegan protein-filled snack. 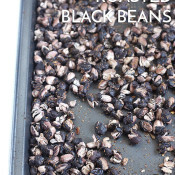 Yes to roasted beans! From snacking to topping salads, they are always so nice to have on hand! What a great idea! These make such a healthy snack! I only ever tried making roasted chickpeas once and I overcooked them so that they were like little rocks, lol! I’ll have to give it a go again and try your recipe! I have to try these. I have been on a chip Kick lately and need to stop. 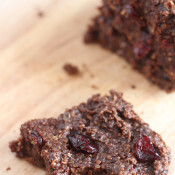 These sound like a delicious way to enjoy a healthy snack. Isn’t it funny how when you take on a healthier lifestyle — you actually crave healthier foods? 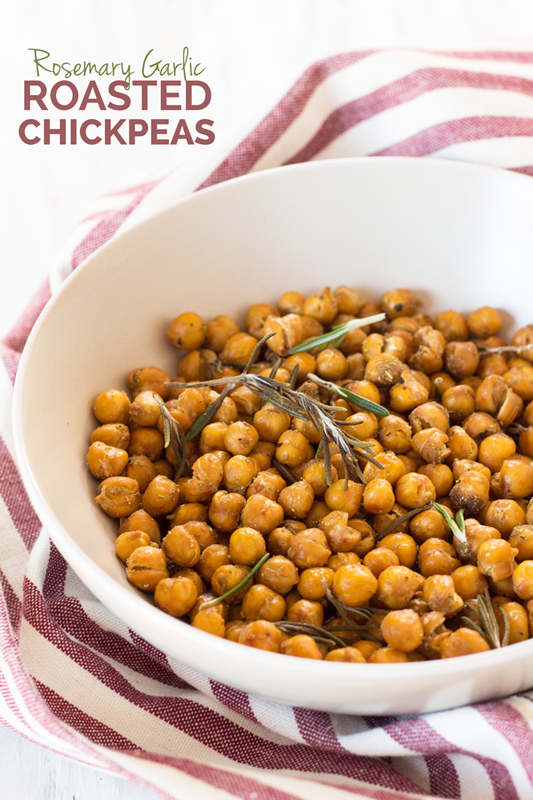 These chick peas sound so good to me! 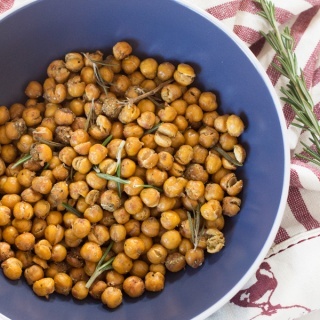 I love roasted chickpeas, and rosemary and garlic are two of my favorite seasonings. Yum! I LOVE roasted chickpeas! I haven’t made it in a while – gotto fix that stat! I do mine with indian spices, I want to try your rosemary version now! I love roasted chickpeas nad usually do them with chilli, rosemary sounds wonderful so will definitely try this flavour next time. 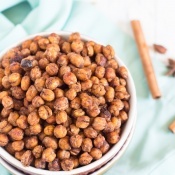 I love sweet foods, but savoury roasted chickpeas are my fave! Love this flavour combo!